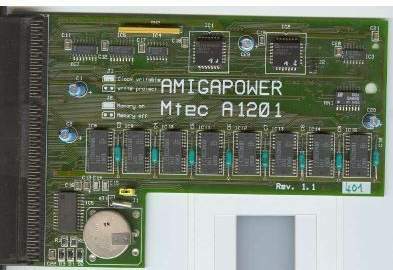 RAM card for the Amiga 1200 which includes a battery backed up clock and plugs into the trapdoor slot. The RAM is soldered directly onto the card. I'm not sure how much it contains, but is likely to be 4MB or possibly 8MB.